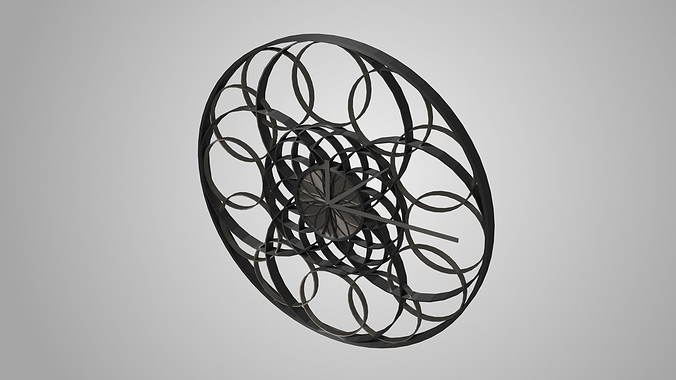 This is a high and low poly 3D model of a stylish wall clock. It contains a high and low poly version of the 3D model. Software: Originallly created in Blender 2.75a and rendered with Blender Cycles. Usage: It can be used both for renderings and animation, using the high-poly version, or for games using the low-poly version. Materials and textures: Several different materials included in the .blend file, no textures.